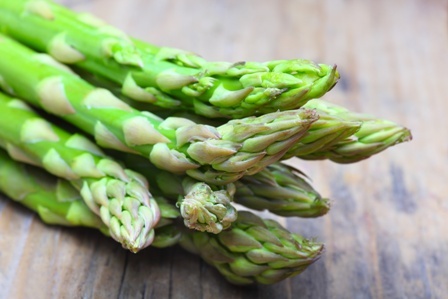 Eckert’s fresh asparagus ripens in the spring and is our first pick-your-own crop of the growing season. 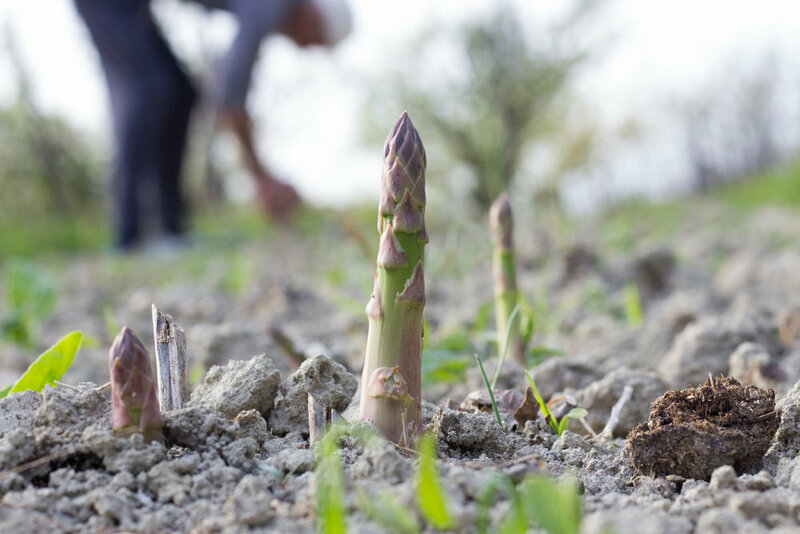 Pick-Your-Own Asparagus is expected to open mid-April- check our Crop Update page for the most current information. 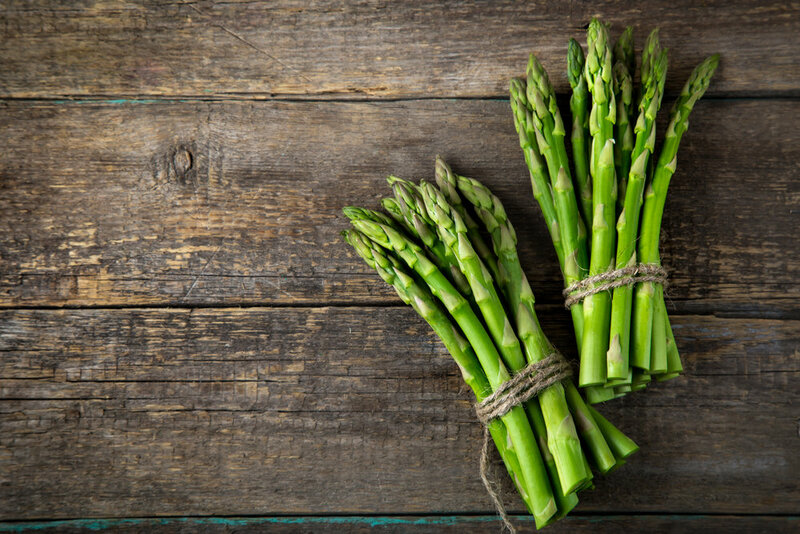 Are you looking for some delicious, fresh asparagus to add to your next meal? Just come to Eckert’s in Belleville, IL this spring. Our farms are always a great place to pick your own vegetables right from the ground or off the vine. And beginning in mid-April, the fields are teeming with white asparagus that’s ready for you to take home. 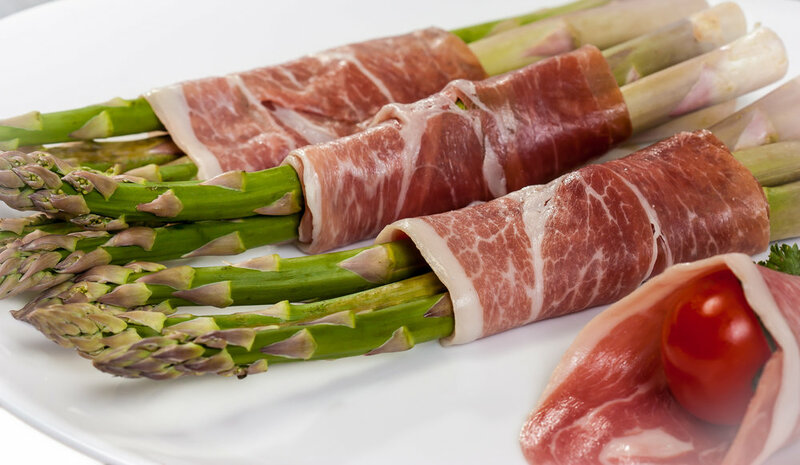 Eckert’s prefers this variant because it has a more delicate flavor and tender texture than the more common green asparagus. While it needs to be peeled and requires an extra 10-15 minutes of cooking time, we think you’ll agree with our preference once you bring some home and try it for yourself! It’s easy to tell when white asparagus is ready to be picked. Simply look for asparagus spears that have grown 6 to 10 inches above the soil line, have firm stems and do not have open flower buds. You’ll know you’re doing well if you squeeze a bunch of asparagus and it squeaks. If you see spears taller than 10 inches, please let them be, as they help provide the root systems needed for next year’s crop. 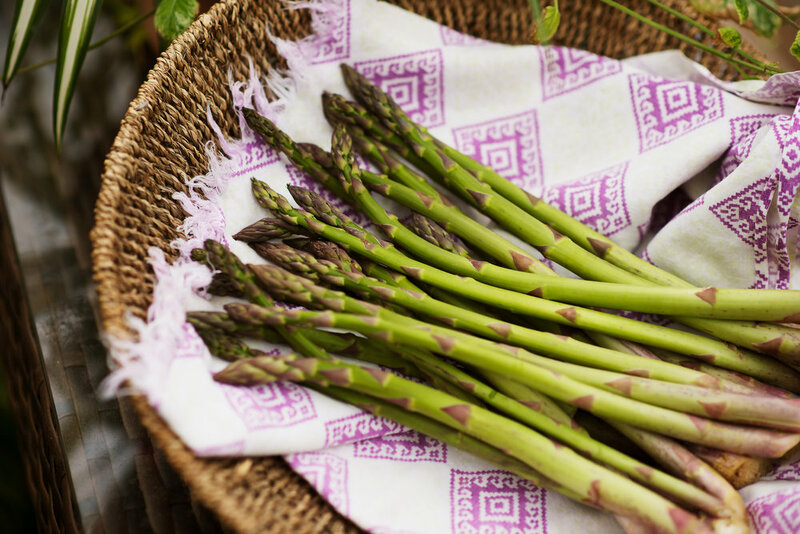 We keep a close eye out for when our asparagus fields are ready for you to harvest. So you found some asparagus that looks ripe and ready. But how do you pick it? It’s simple — just cut or snap each spear at the ground level. No fancy tools are necessary, so people of almost any age can enjoy an afternoon of asparagus harvesting. Our pick-your-own farms are where you can get the freshest fruits and vegetables in-season — and they’re a great outing for the family! 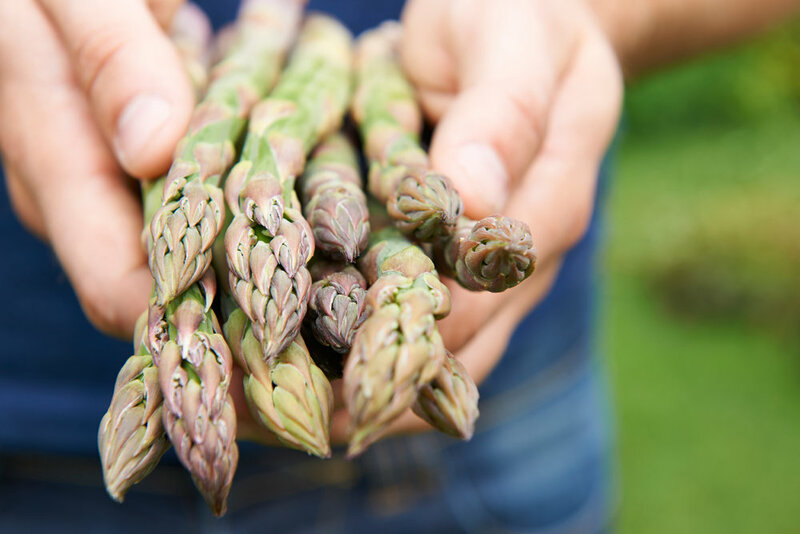 Stay tuned for updates about when the fields will be opening and join us to bring home some fresh asparagus. We’ll even give you tips about ways to devour it at your next meal!